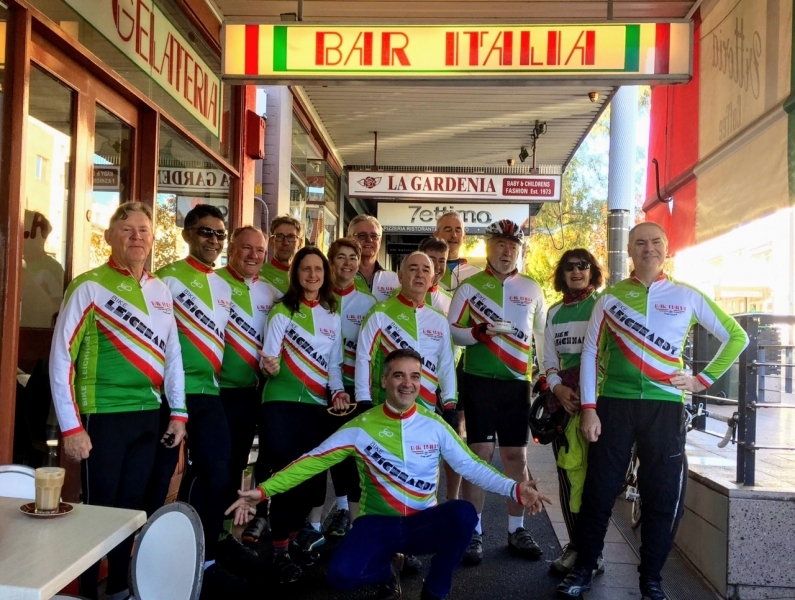 Report from John Ross on the Bike Leichhardt tour of the Marlborough region in February 2017. This was a good scenic trip for ten BL tourers, with a couple of challenges along the way. Monday 13/2: The 70 km from Picton to Wairau Valley was a long slog straight into strong headwinds with hundreds of trucks heading along the earthquake detour route to the south. But the Wai-Natur nudist camp we stayed in provided a distraction from thinking about more headwinds the next day. 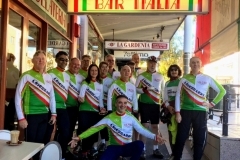 Wed 15/2: The headwinds hadn’t eased off, and a very long hill for the last 10km in to Tophouse was compensated by the terrific location of the historic Tophouse Inn where had great views across the valley while enjoying a BBQ dinner. Some snow on the range added to the atmosphere. 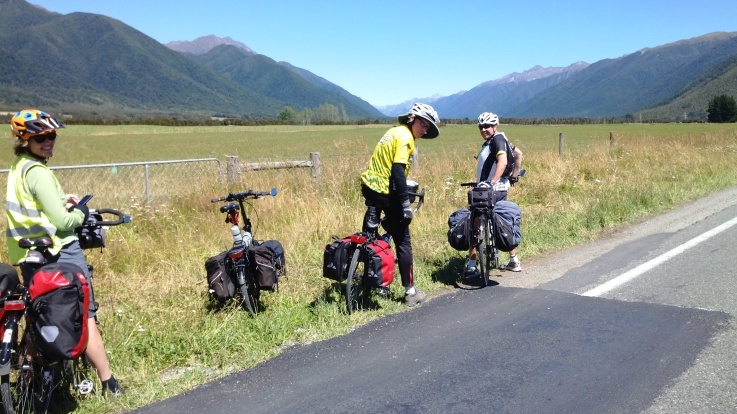 Thurs 16/2: Heading north, we finally had some welcome downhills and light winds for a pleasant 50km to Tapawera. Fri 17/2: This was also a fast downhill day through scenic farming country to Motueka on the north coast, via the Great Taste Trail which we followed for a couple more days. We finally struck some wet weather, although it was mostly after we arrived. Sat 18/2: The rest day was spent on a cruise and 10km walk along the coast of the Abel Tasman National Park. Fur seals and golden sands made it a memorable day off the bikes. Sun 19/2: We continued on the Great Taste Trail to Nelson, but it was very rough in places and some backtracking was necessary to avoid the worst of the road. The weather was warm and sunny again by this time. Mon 20/2: The challenging climb over the two saddles to Havelock was completed by four intrepid riders, the rest taking a van up the long first saddle to avoid tricky corners with trucks and no hard shoulder. Havelock is the home of the green-lipped mussel, and many were consumed at the Mussel Pot that night. Tue 21/2: The final day of riding was a hilly but spectacular 36km around the Queen Charlotte Sound to Picton for lunch, before an unusually calm trip across Cook Strait back to Wellington. Finally, thanks to Heather for her hard work in organising this tour, and for sorting out the inevitable accommodation issues along the way.